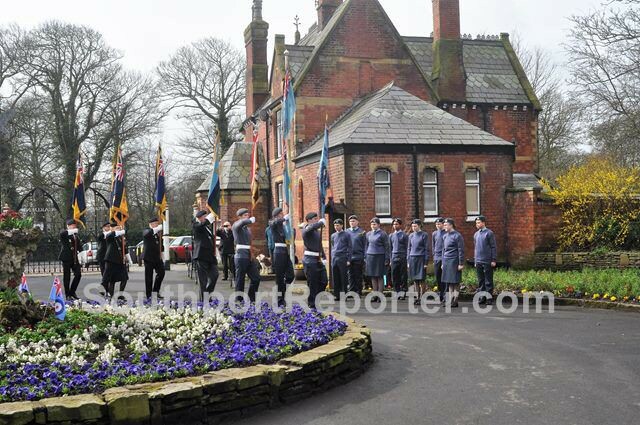 ALL around Britain there are events this month marking the 100 years of the RAF as a fully autonomous service. 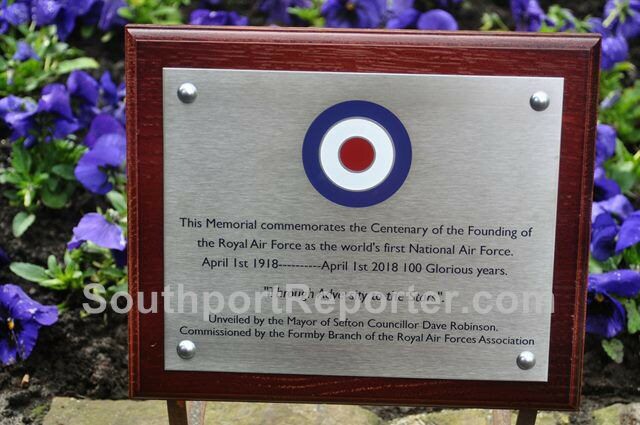 Work has been going on at the Botanic Gardens, Southport as a team of volunteers, sponsored by the RBL, turned a bed by the main gate into a striking red, white, and blue roundel surmounted by aluminium silhouette of a Spitfire and a commemorate plaque. 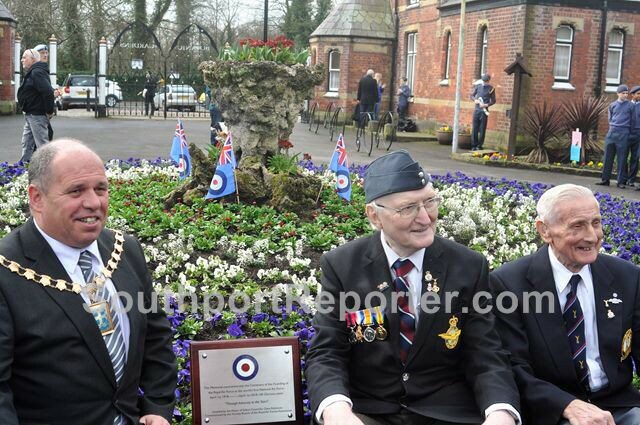 It was unveiled by the Mayor, Councillor Dave Robinson during a low key, but respectful, event. 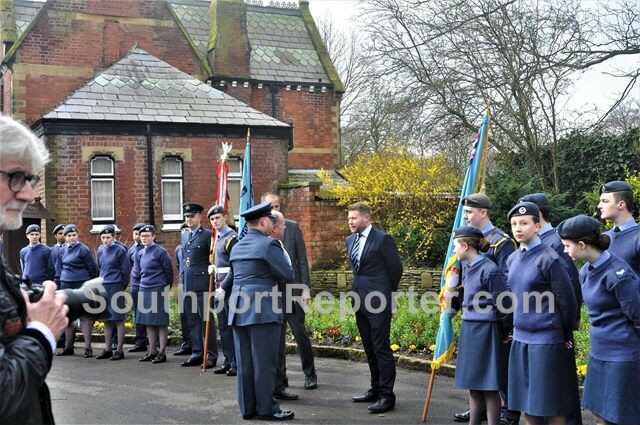 The proceedings commenced with a short parade of banners, and escorts, provided by the Royal British Legion and members of 2 Squadrons of the Air Training Corps, 218 Sqn and 611 Sqn Woodvale. 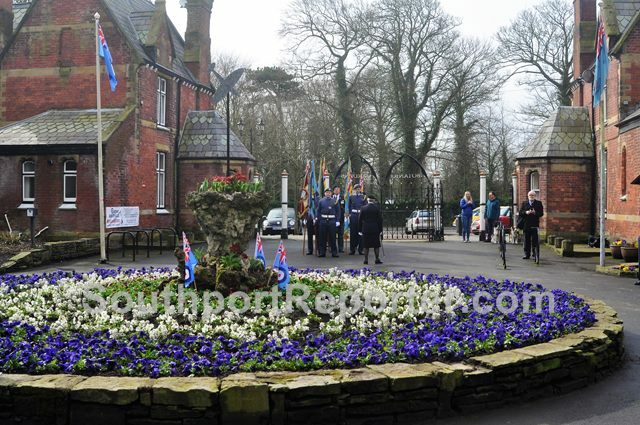 The assembled audience of veterans, proudly displaying their medals, their families, and visitors to the park were addressed by Daniel McGregor of the RAF Association, and short prayers were offered by a Padre, including a mention of those whose service had come with a price. 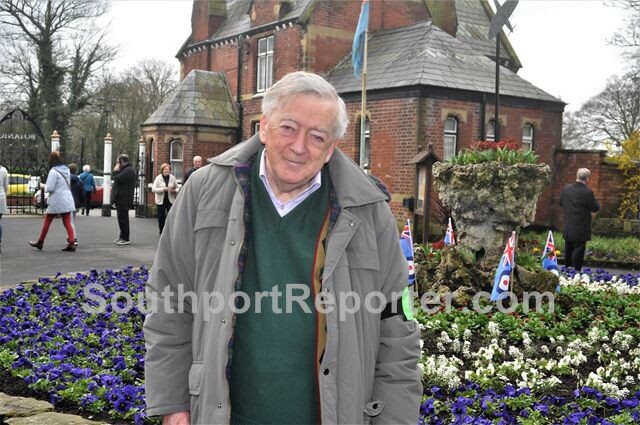 The MP for Southport, Damien Morre, speaking as a member of the Government Defence Committee, told the assembly of the hard work done by the RAF and RAFA, and that some 13,000 had been helped but that only 20%, on average, came forward. If you know of someone who may be eligible, it is worth reminding them of this potential help. 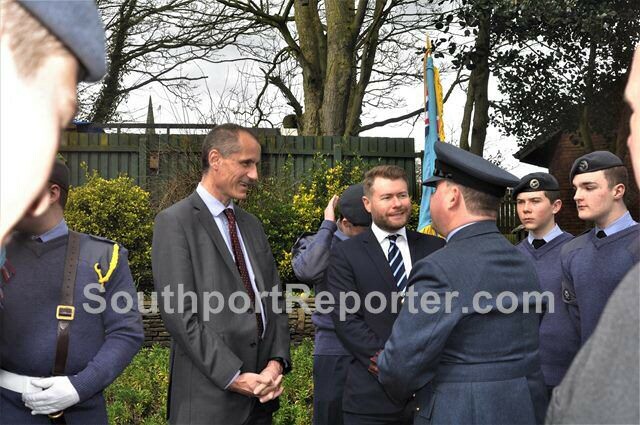 Squadron Leader Lee Rimmer, from RAF Woodvale, stepped forward to cover for Wing Commander Dave Horton who was unfortunately ill; he told everybody about Woodvale and its significance as the only Station left in the North West and that although Spitfires did not regularly fly from Woodvale there were connections with Speke Air Port where Spitfires were based. 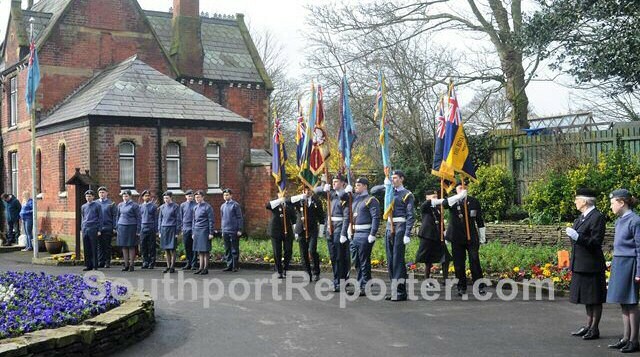 Also in attendance were Lord and Lady Fearn, Bill Esterton MP (Sefton Central) and volunteers from local military charities. 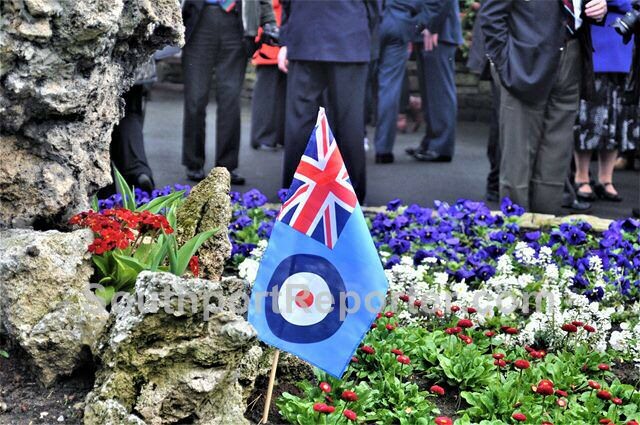 We were reminded just how much we owe to the RAF, both past and present. Once the Parade Members were stood down appropriate music was broadcast. 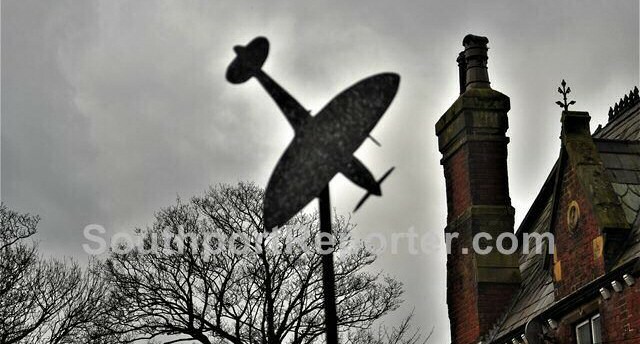 It is worth noting that the Spitfire's last operational flight, in active British military markings, was from RAF Woodvale in 1957!